Albert Everly Parsons, age 77, of Petersburg, WV passed away on Monday, July 31, 2017 at the Grant Rehabilitation & Care Center in Petersburg, WV. Everly was born April 13, 1940 in Petersburg, WV and was a son of the late Albert Richard Parsons and Ruth Elizabeth (Vance) Parsons. In addition to his parents, he was preceded in death by his brother, Allen Richard Parsons. Everly traveled to Europe many times and to Australia and New Zealand. 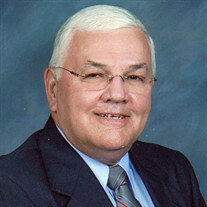 He graduated from Petersburg High School in 1959, from Fairmont State University with a Bachelor Degree in Arts, also from West Virginia University with a Master of Arts Degree. He taught school for many years and was a dedicated member of the Grace Lutheran Church in Petersburg, WV. Everly is survived by lots of cousins, an Uncle and Aunt, Charles E. Vance and Virginia Nash Vance of Mt. Airy, Maryland and an aunt, Elizabeth Vance, of Dorcas, WV. A graveside service will be at Lahmansville Cemetery with Pastor Larry M. Cantu Celebrate on Wednesday, August 2, 2017 at 1:00 P.M.
Memorials may be made to the Grace Lutheran Church Building Fund, 5 Pine Street, Petersburg, WV 26847.